September's iPhone 6S launch didn't, as some people expected, deliver a new iPhone 6C budget iPhone offering. Instead, if introduced two new premium phones, the iPhone 6S and iPhone 6S Plus, while granting the iPhone 5S a stay of execution – and a new lease of life as as Apple's official 'budget' offering. So if you want a new iPhone and you don't want to pay much, the absolute cheapest way to get one is to opt for the still-good iPhone 5S. And to help you along, techradar has teamed up with Mobiles.co.uk to bring you the UK's best value iPhone 5S deal! 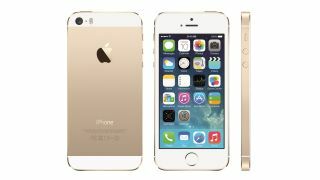 Using the voucher code TECHRADAR5S you can get a brand new iPhone 5S 16GB for free on EE with 2GB data, 1000 minutes and unlimited texts for just £24.99 a month. The deal will be available until the end of October.